Before upgrading/updating the ASA to version 8.3 (or Higher) Check to see if you have the correct amount of RAM in the firewall ("show version" command will tell you). This is VERYIMPORTANT if your ASA was shipped before February 2010. See the link below for more information. 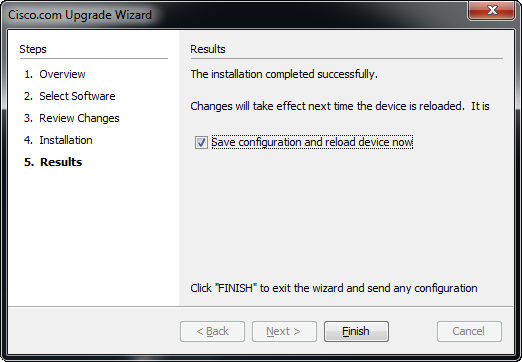 Be aware, if you are upgrading to an OS of 8.4(2) or newer you can no longer access the device via SSH when using the default username of "pix" you need to enable AAA authentication for SSH, do this before you reboot/reload the firewall or you may lock yourself out. 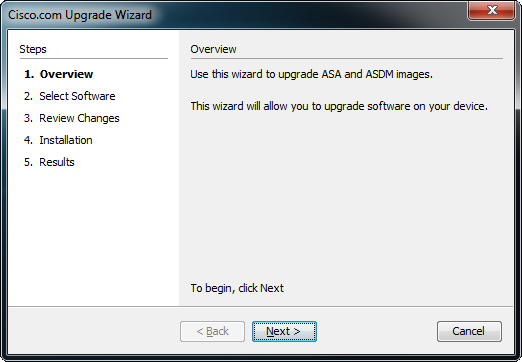 Its been a while since I wrote how to update the ASA by command line, and how to update the ASA from the ASDM. 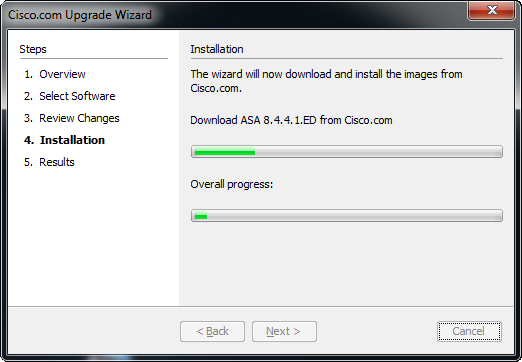 Now you can update the ASA directly from Cisco, providing you have a valid cisco CCO account. 1. 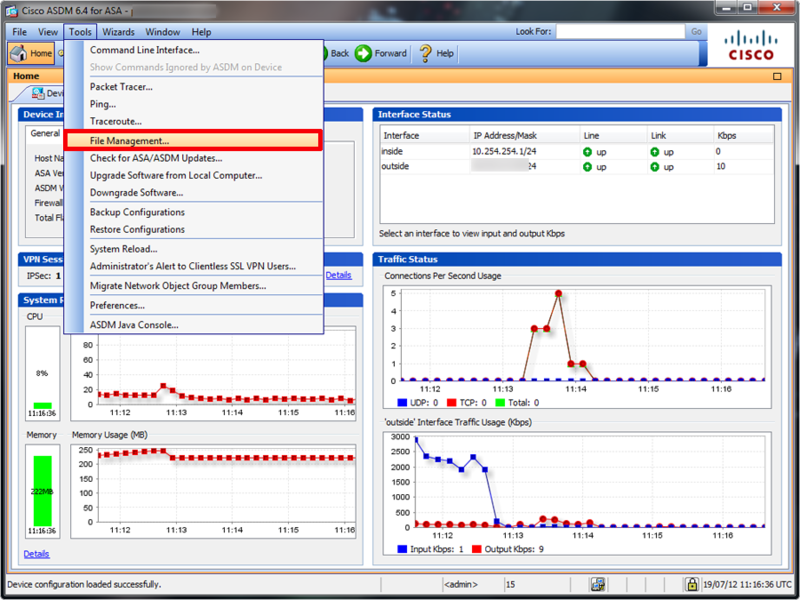 Connect to the the ASDM on the ASA > Tools > Check for ASA/ASDM Updates. 2. 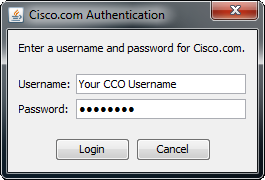 Supply your Cisco CCO account information. 4. 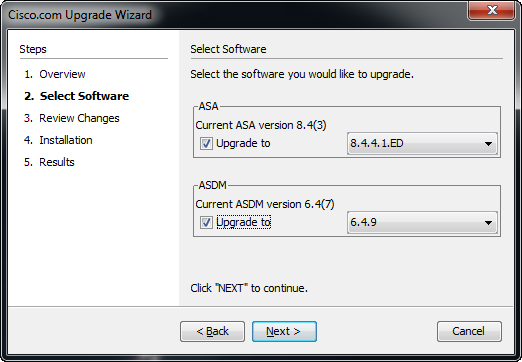 Decide if you want to update the OS of the ASA or the ASDM, or both. 6. 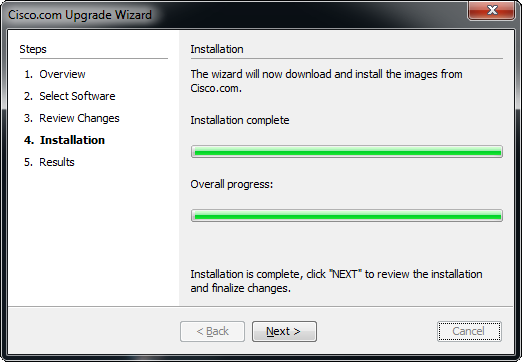 The software will download. 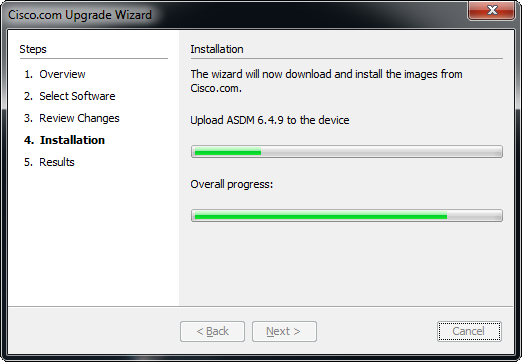 (The OS is downloading here), Note: it will get downloaded to the machine that the ASDM is running on first. 7. 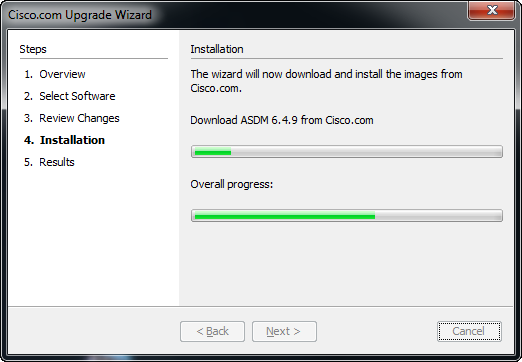 Then the ASDM software will download. 8. 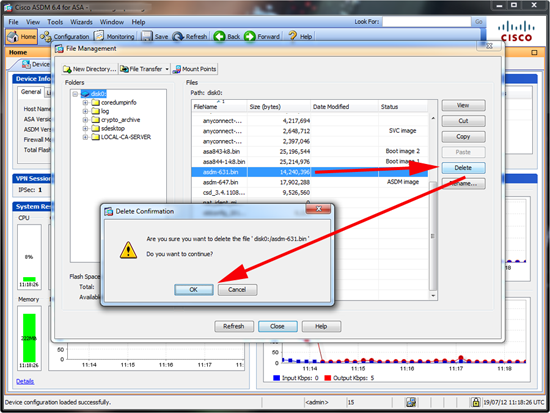 You may find that there is not enough room in flash memory, if so you will see this error. 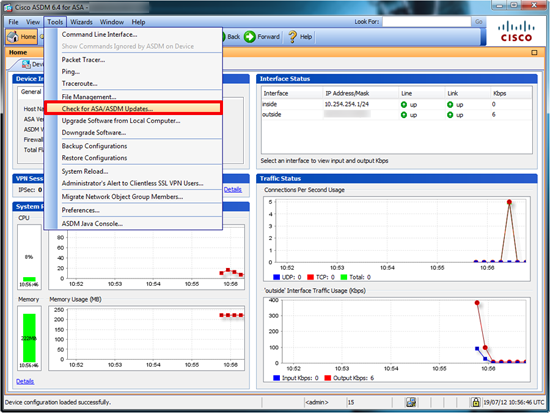 (if it does not error skip to step 11). 9. If you are stuck for room you can delete some items from your flash memory > Tools > File Management. 11. Once all the files have been downloaded to your location, they will be uploaded to the firewalls flash memory. 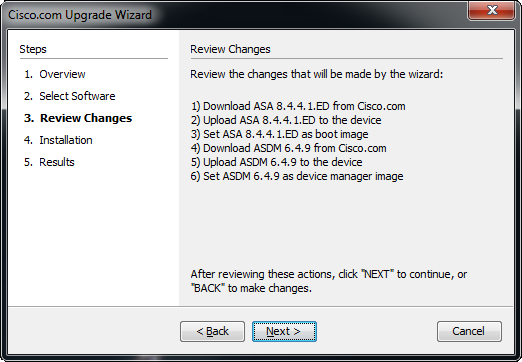 Note: What happens now is the following commands are issued in the background automatically; (Note the versions numbers may be different in your case). 14. 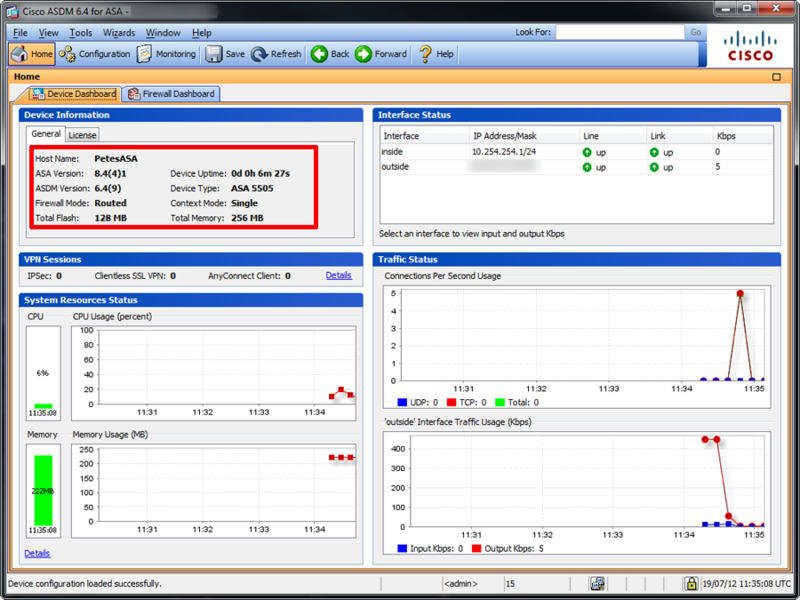 After the firewall reboots, it should come back up with the new OS and ASDM version.